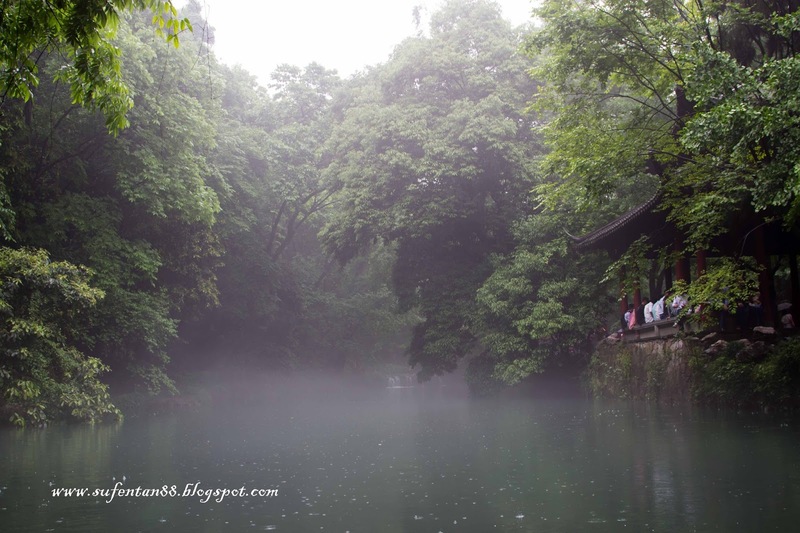 Second day in Hangzhou, we decided to travel like locals, we took their public transport to Fei Lai Feng. 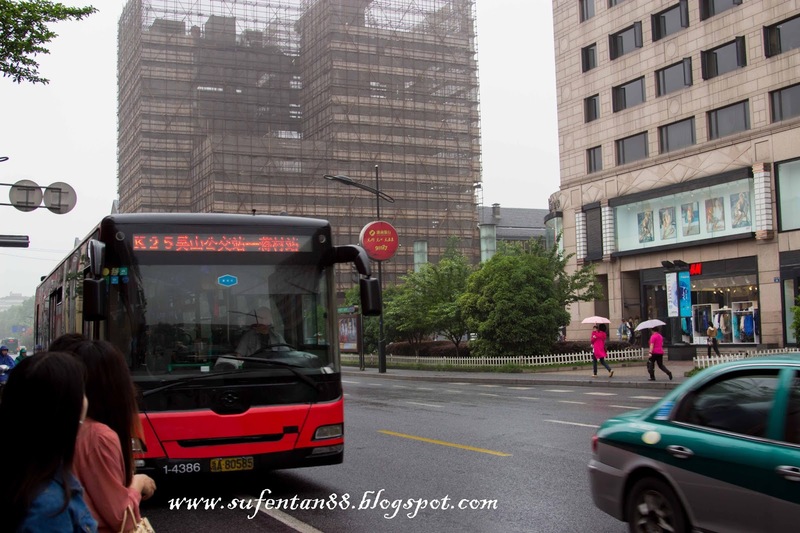 There are 3 types of buses which will stop at Fei Lai Feng station, which are K7, Y1 and Y2. 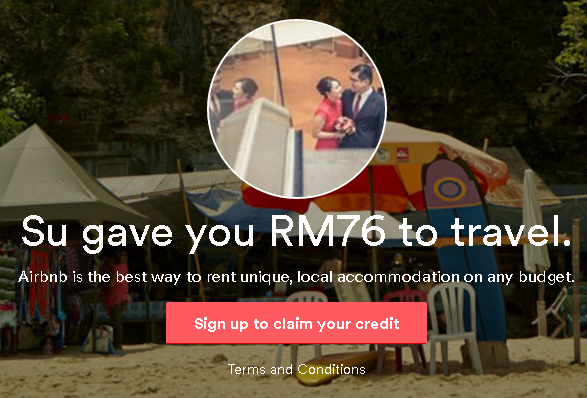 It costs only RMB 2 one trip with air-con and non-aircon is RMB 1. However, I do not find the public transport to be user friendly to non-Chinese speaking tourists as the bus stop route maps only come in Chinese words. Nevertheless, there will be an announcement on the next stop in Chinese and English. There is only one problem with China's public transportation, all drivers drive in a reckless manner and they are very impatient, you will never miss a single horn in every seconds! 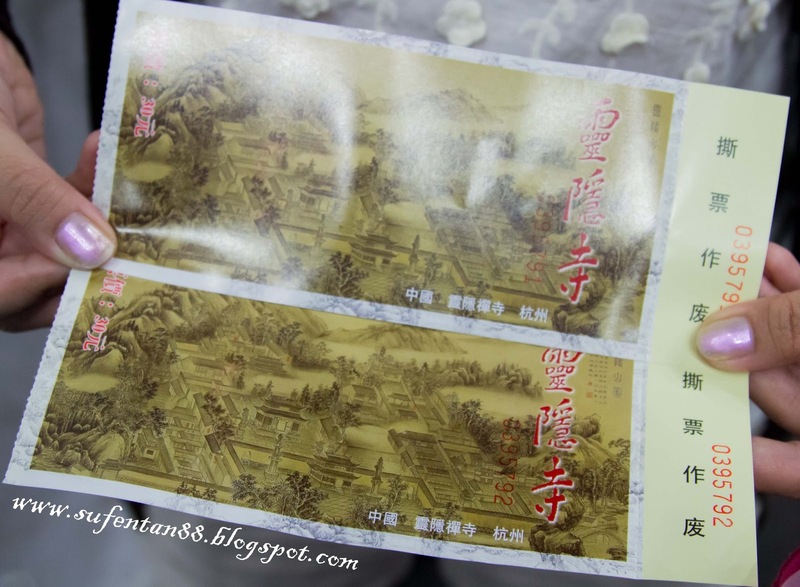 It took us around 30-40 minutes to reach Fei Lai Feng. The first thing you do is find the ticketing counter and get your tickets. The ticketing counter is located outside, quite far from the entrance, you may need to walk awhile to reach there. 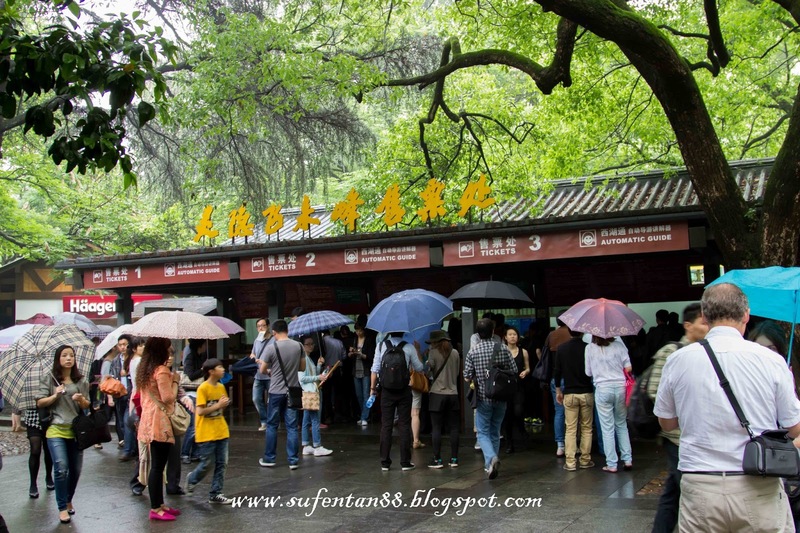 If you have a choice, always choose to visit the tourist attraction on weekdays as weekends will be packed. 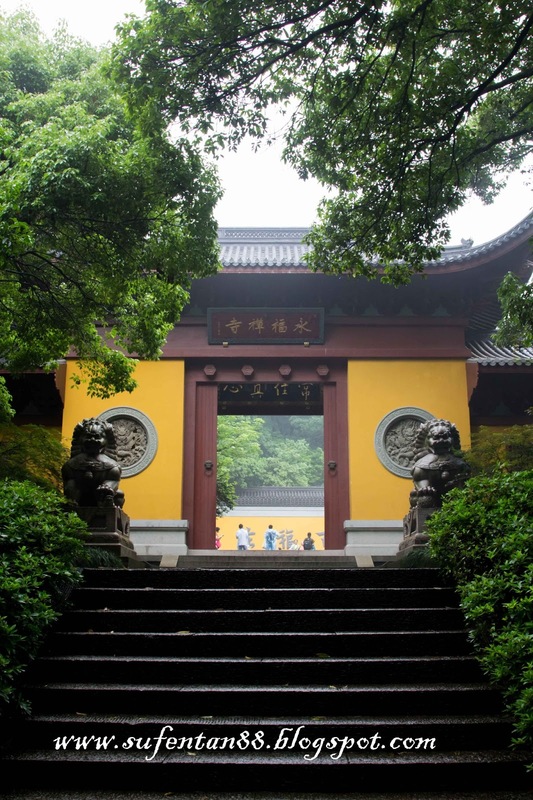 The entrance fee to Fei Lai Feng costs us RMB 45 per person, not inclusive of entry into Linyin Temple. 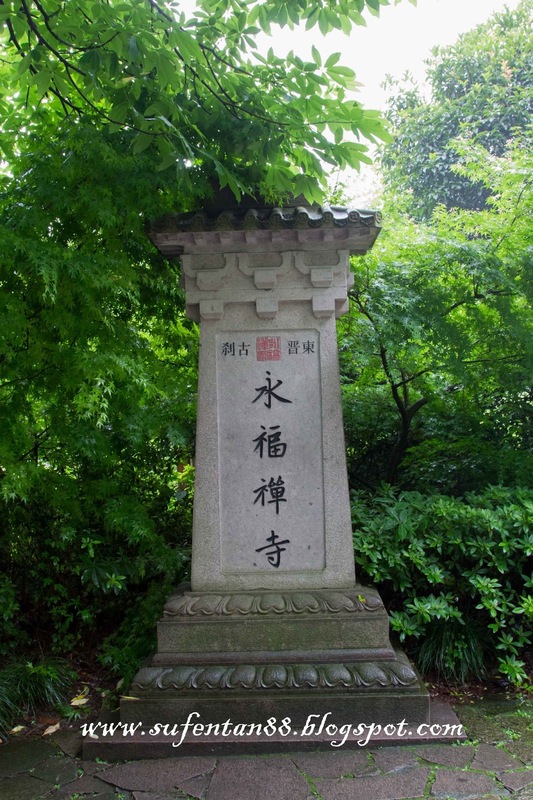 The entrance to Fei Lai Feng although the words on the top was written as Linyin Shi. 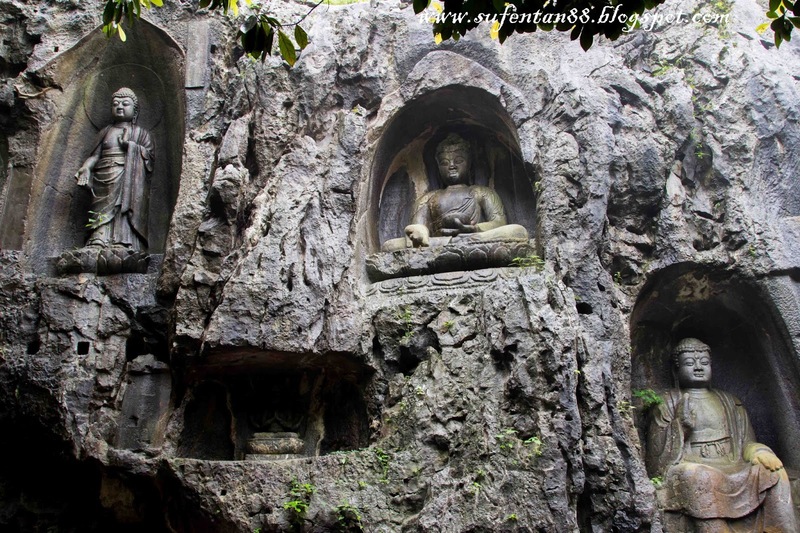 On the cliff of the Peak Flying From Afar, there are over 340 finely crafted Buddhist statues in grottos from the five Dynasties of Song till Yuan Dynasties. It was raining when we arrived there. 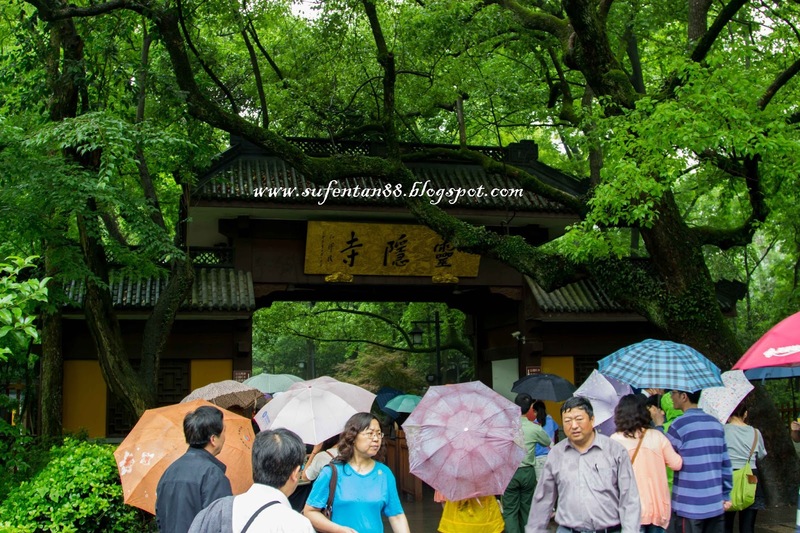 Despite of the rain, it never stopped us from coming to the place and capture all the nice photos even with my umbrella! 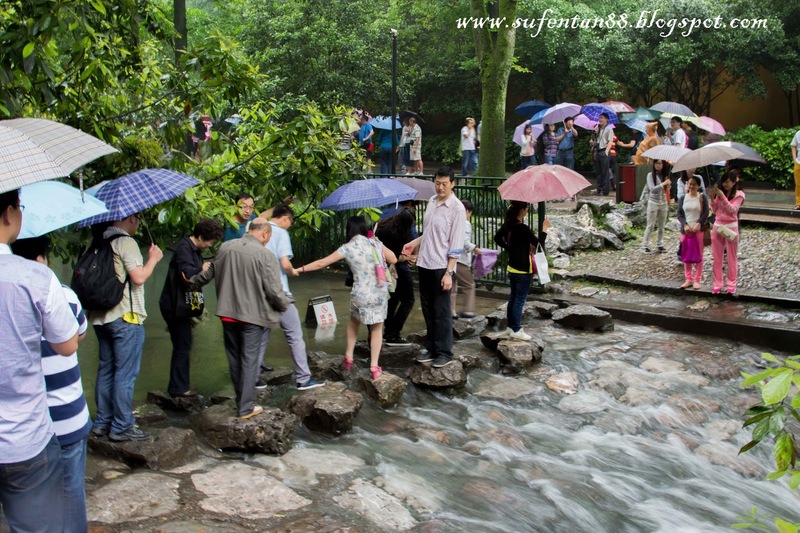 This is how China's people re-act when they see a short cut to the other side although there is a safer walking path behind them. Dangerous! A lake in the middle of the cliff. Make a wish with Buddha using tortoises, this is the first time I see anything like it in my life. After wishing they will throw the tortoises into the lake as if they are setting the tortoise free. 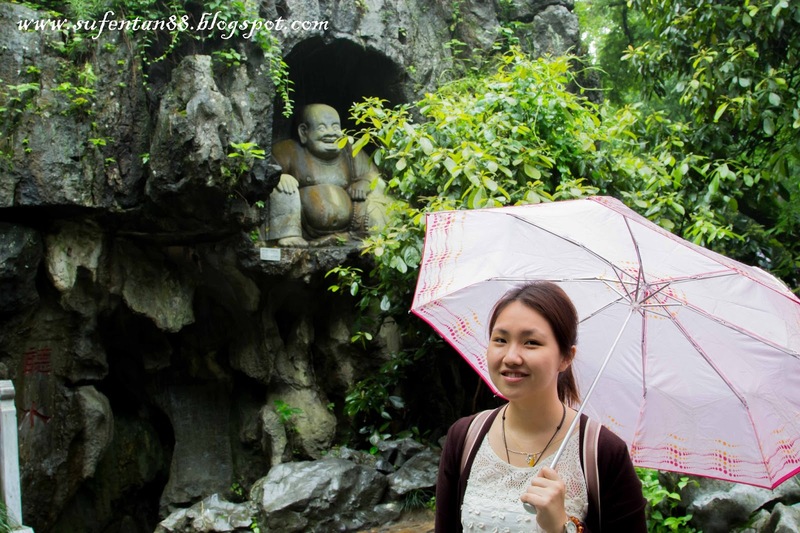 Since it was raining, we were not allowed to climb up the cliff to see other carvings of Buddhist statues as it was very slippery, quite disappointed but for safety reasons it can't be helped. 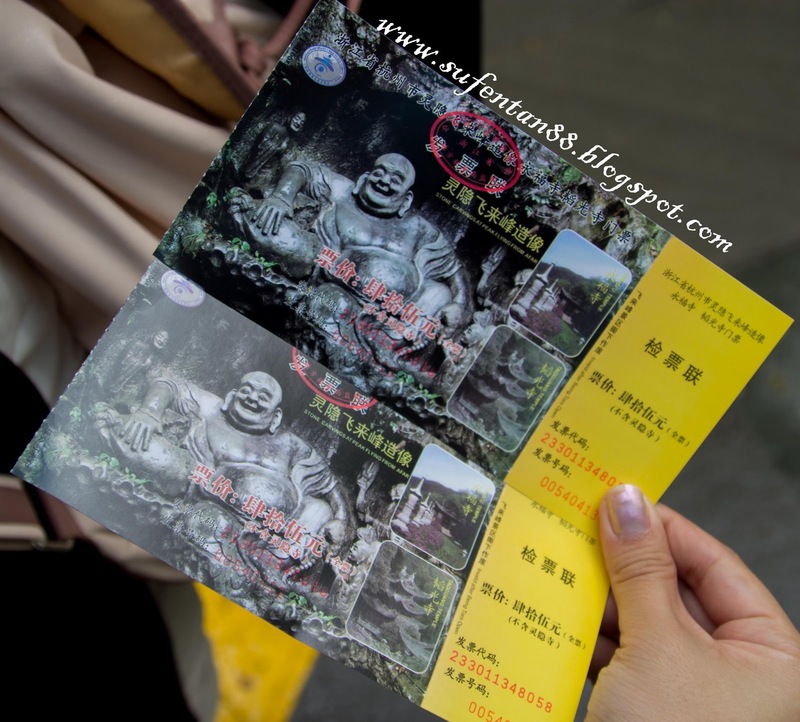 Here is another ticket counter inside Fei Lai Feng where you need to purchase a ticket to visit Linyin Temple. 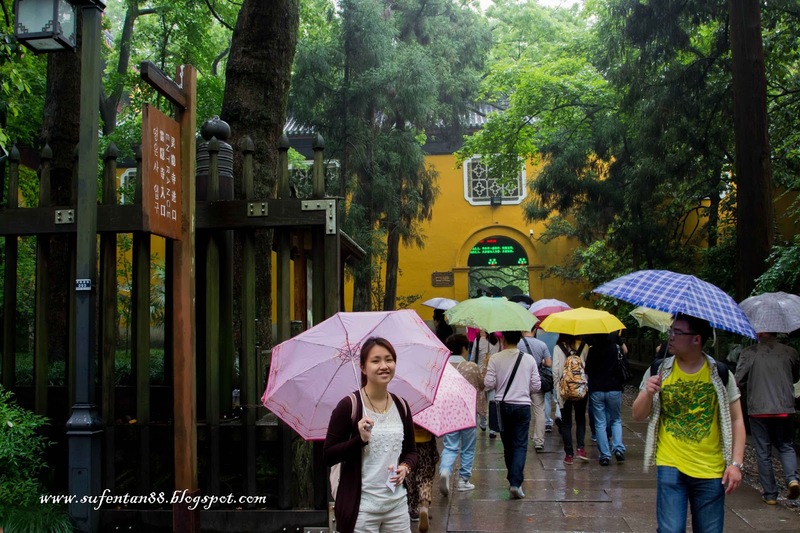 Remember nothing is free in China when it comes to tourist attractions, and that goes the same for their locals. 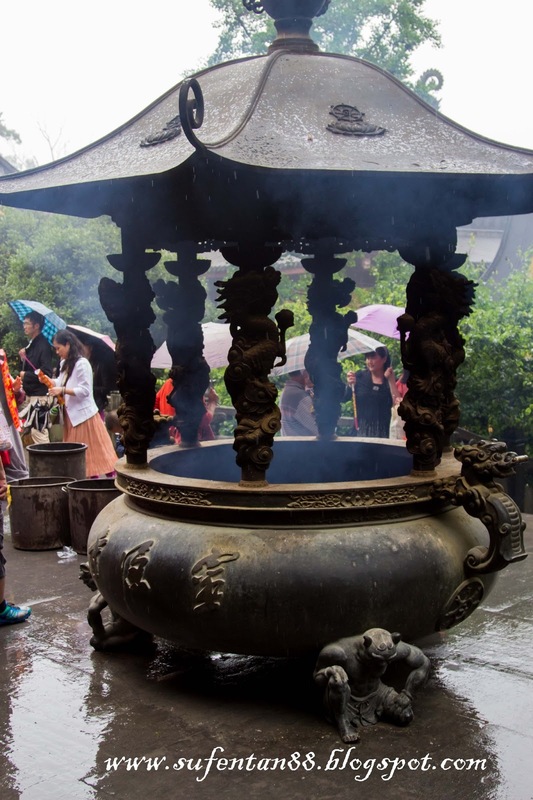 It cost us another RMB 30 to enter the temple. 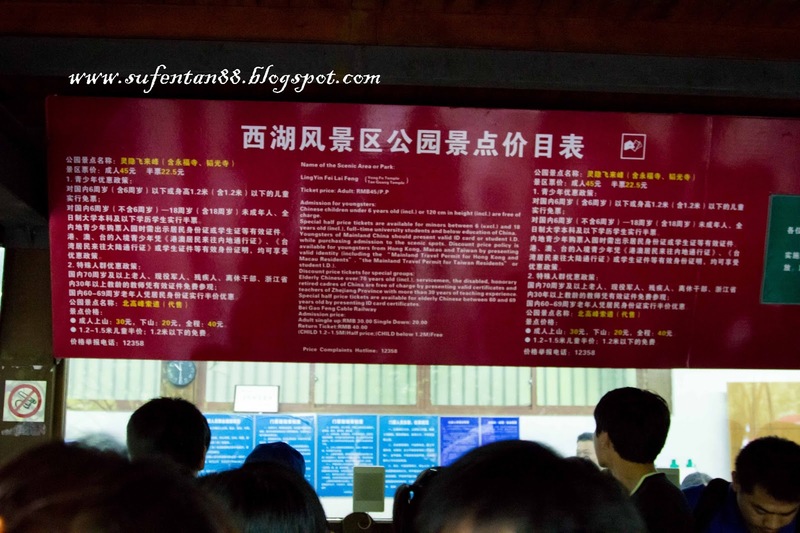 Basically the whole trip, you need to pay a total of RMB 75 for entrance fee only. 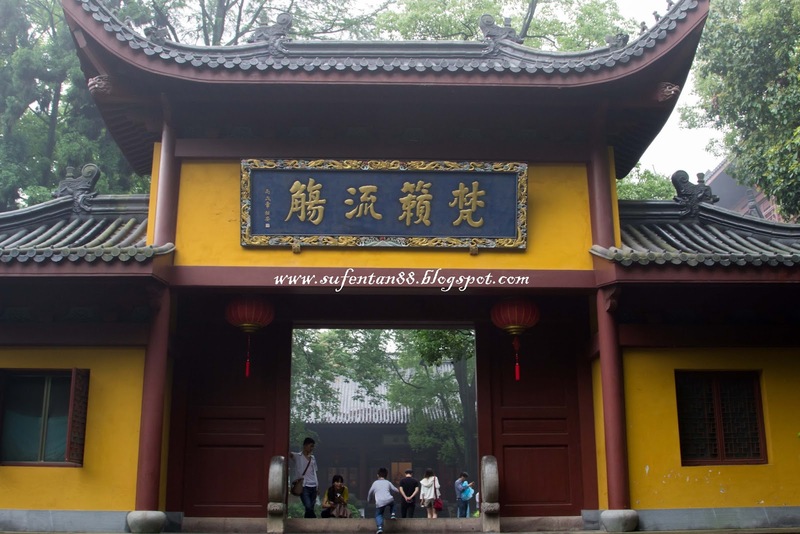 Here is the entrance to Linyin Temple. 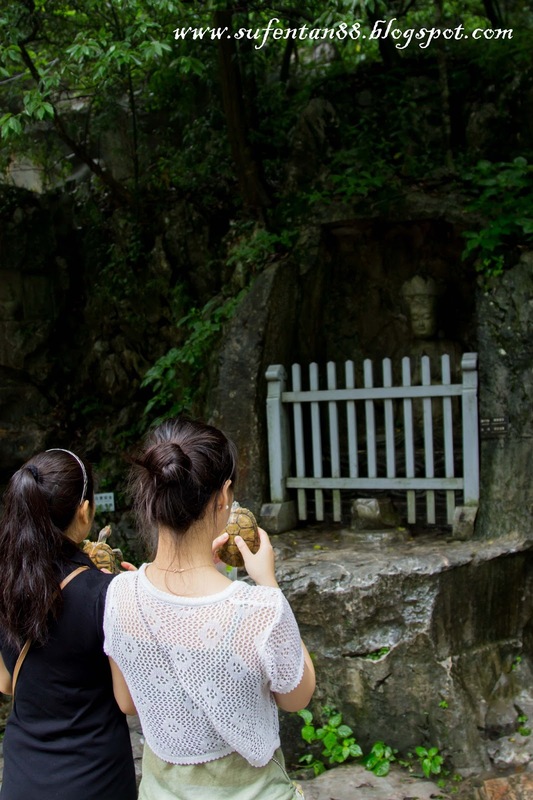 What would you see inside a temple? Answer is more temples regardless whether they are small or big! 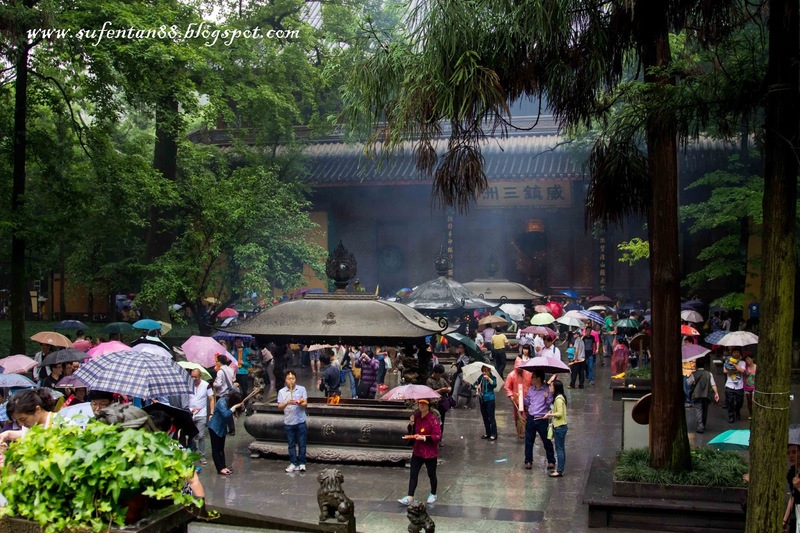 The whole journey walking in the Linyin temple was seeing different types and design of temples and Buddhist statues. 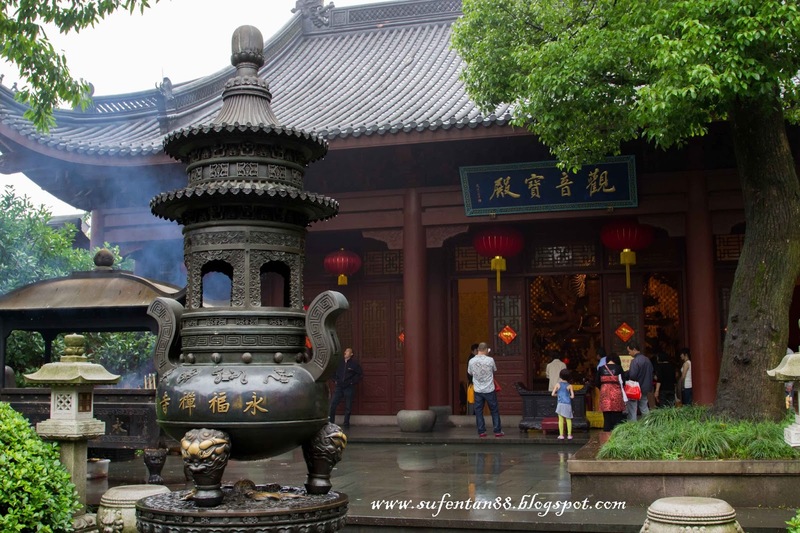 The Linyin Temple was built in the 1st year of Xianhe of the Eastern Jin Dynasty. 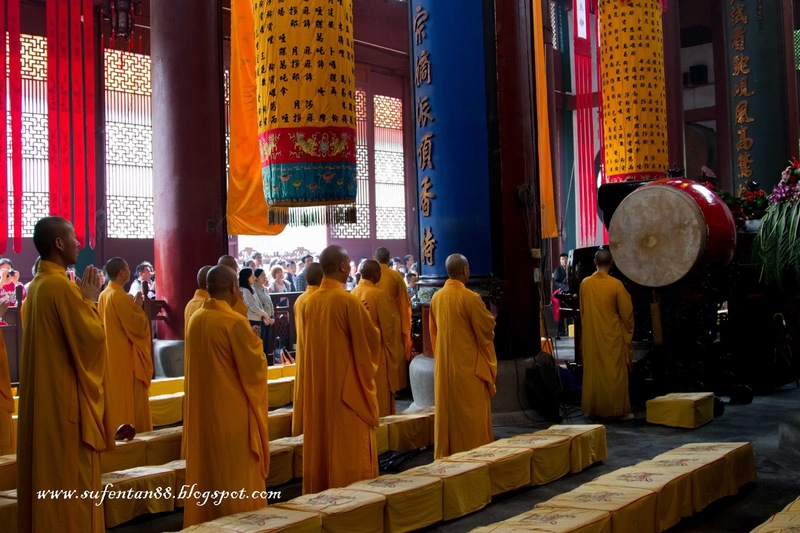 There are some chanting going on when we arrived and many people lining up to get blessings and do the chanting. Great Hall of the Great Sage is the principal hall in Mahavira hall. 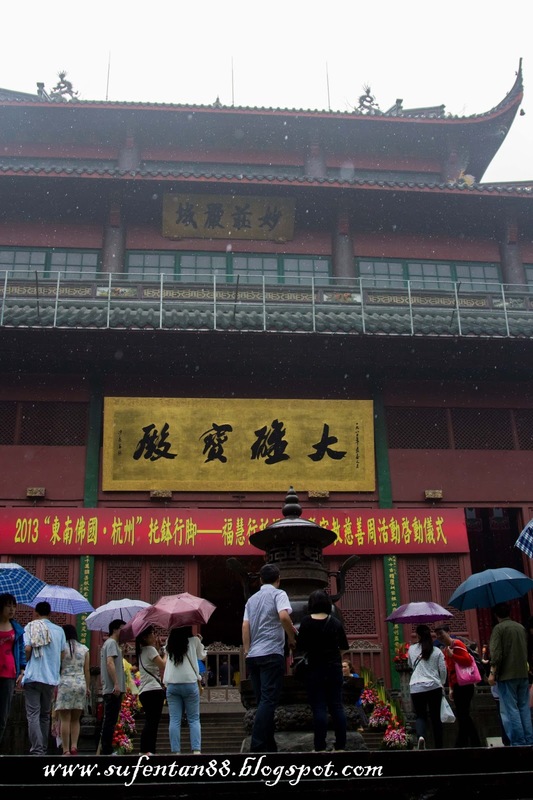 To the left of the courtyard stands the Hall of the Five Hundred Arhats. The Grand Hall of the Great Sage is triple eaved and stands 33.6 metres tall. 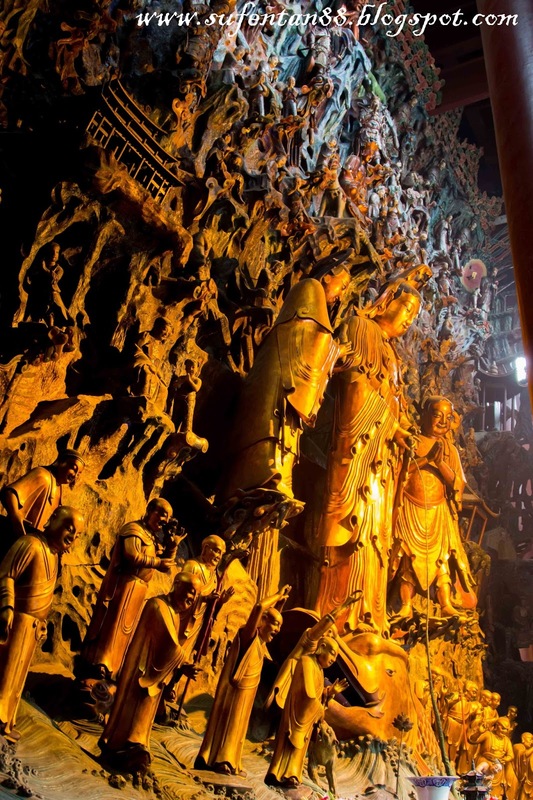 The present statue was carved in 1956 from camphor wood in Tang Dynasty style and coated with 60 taels of gold. 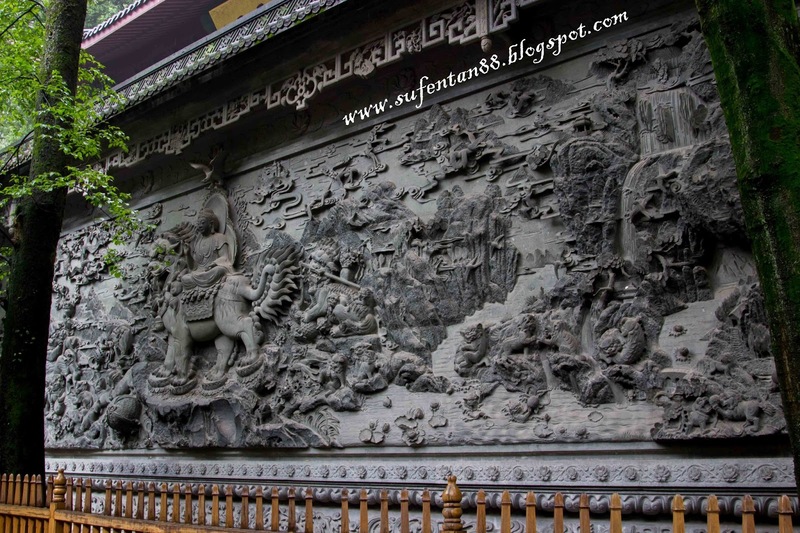 It is the largest wooden Buddhist statue in China. 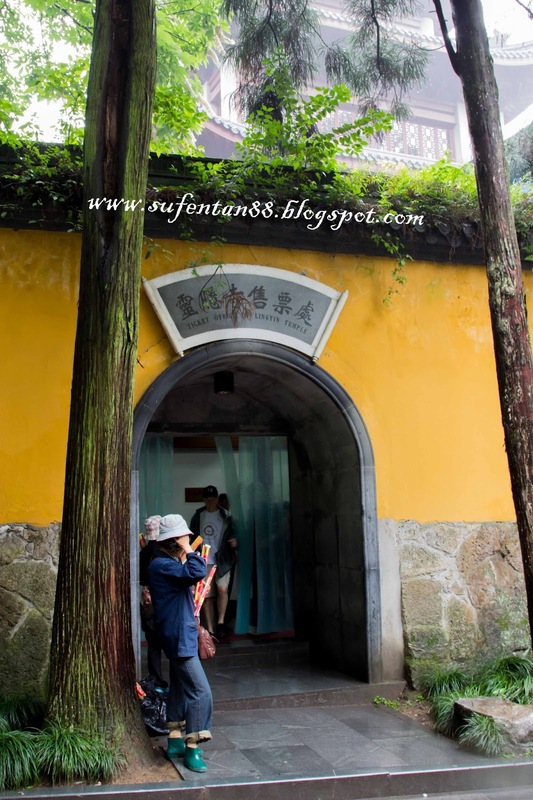 Here are some other temples that are up the hill inside Fei Lai Feng.More than 10 small temples were built up the hills and each have their own entities. 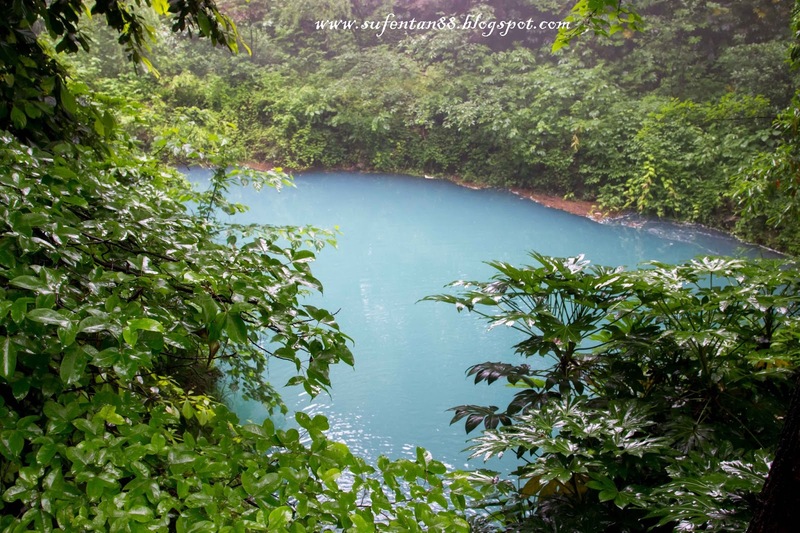 Light blue lake water, is this the real natural lake water? We are still wondering and guessing. 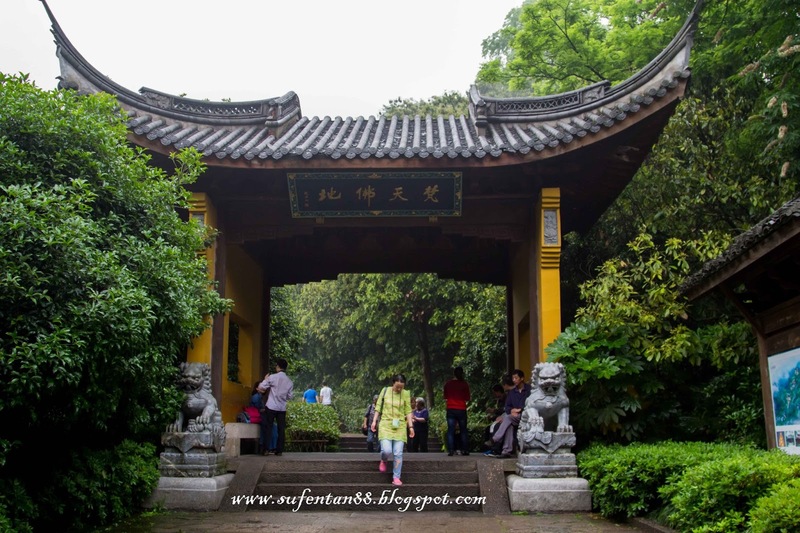 We visited one tourist attraction in Hangzhou for the second day as it took us one whole day just on Fei Lai Feng and Linyin Temple. The place was huge and you may not want to be that crazy like us to explore every single area of this place!